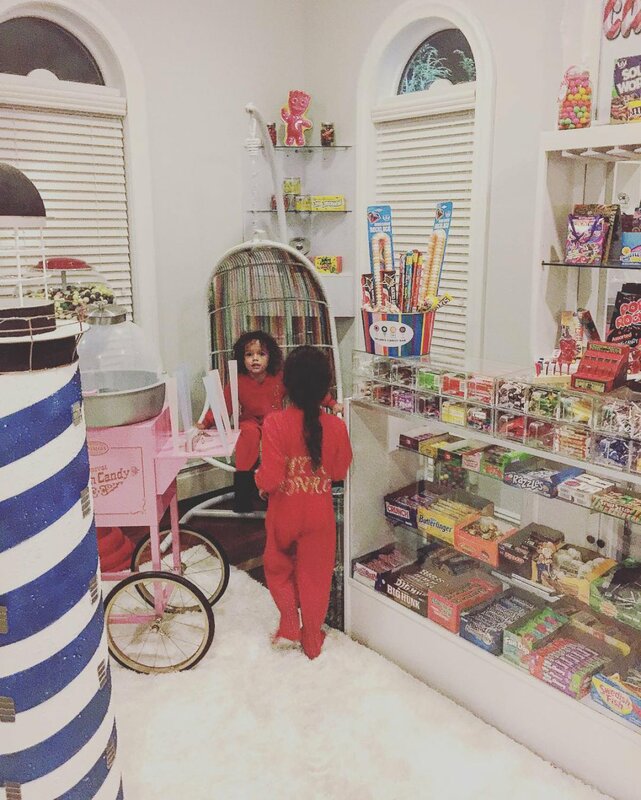 Nick Cannon and Mariah Carey's two kids have their very own candy room. The 36-year-old actor and "America's got Talent" host revealed on Instagram recently that Monroe and Moroccan, his 5-year-old twins with ex-wife Carey, have an entire room filled with sweet treats at home. "This room is the reason for all the hyper-activity!!! Patiently waiting for the sugar crash!" he captioned a photo of his children in the room. Cannon and Carey indulged their kids' sweet tooth again Thursday by taking them out for ice cream. The actor shared a group picture with his 1.7 million followers, writing, "Family time!!!" Cannon and Carey split in 2014 after six years of marriage, but have remained friendly since. The actor told Entertainment Tonight this week that he, Carey and their twins will spend the holidays as a family. "All fun, all love, you know what it is!" he said. "Holidays are mainly for kids anyway, when you think about it, and once you go from kids, it's all about family and love and that's what we're trying to spread." Cannon confirmed in November that his ex-girlfriend Brittany Bell is pregnant and expecting his third child. He revealed how Carey reacted to the news in an interview on Power 106 this week. "She came at me first about it, so it was actually easier," the star recalled. "I don't know how she heard about it, but she called me, and she was funny with it. She was like, 'Mhmm, I heard about you out there in these streets." Carey herself is dating dancer Bryan Tanaka following her split from fiance James Packer. Tanaka gushed about the 47-year-old singer at her "Mariah's World" premiere this month, telling E! News, "I love her so much."